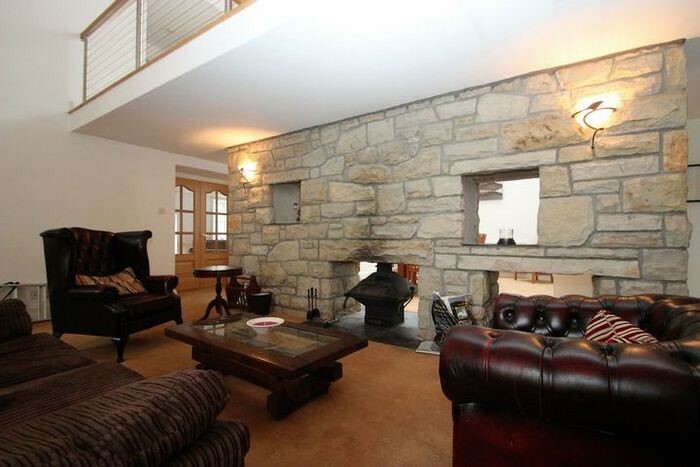 An attractive house created from a wing of the former Castle Semple Mansion, with renovated interior it is situated on the banks of Castle Semple Loch. 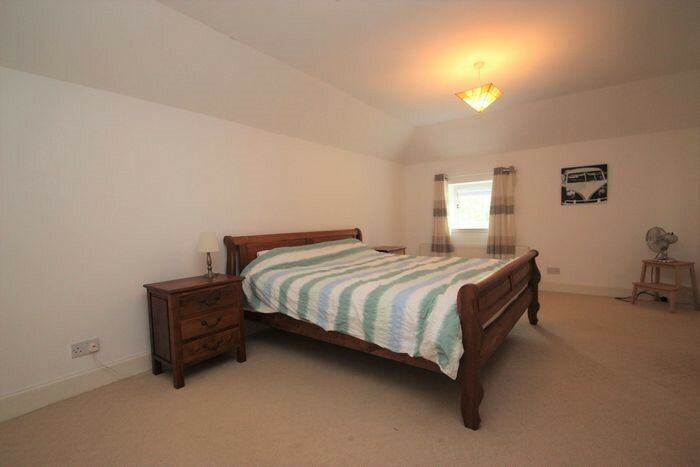 Offered on a fully furnished basis. 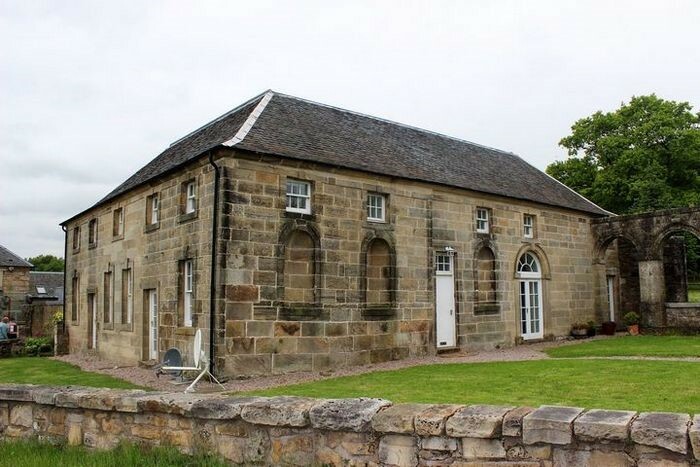 Semple House was created from one of the wings of the original Castle Semple mansion house. 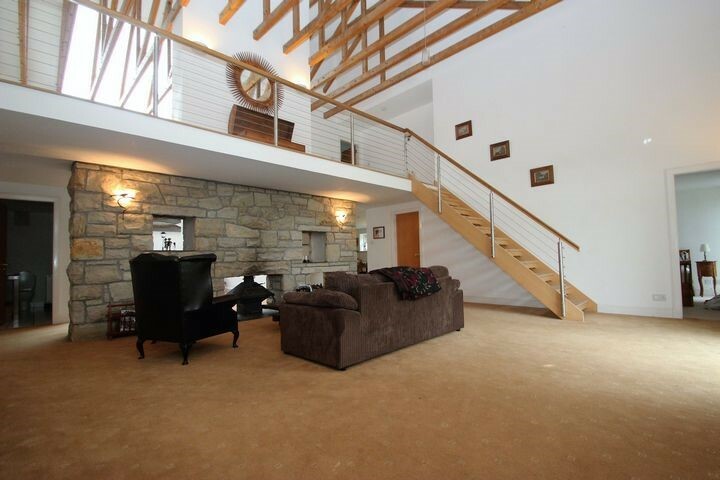 The current house is built of sandstone under a slated roof giving a traditional exterior while inside the accommodation is dominated by a fantastic open plan sitting room/dining room with two-way open stone fireplace. 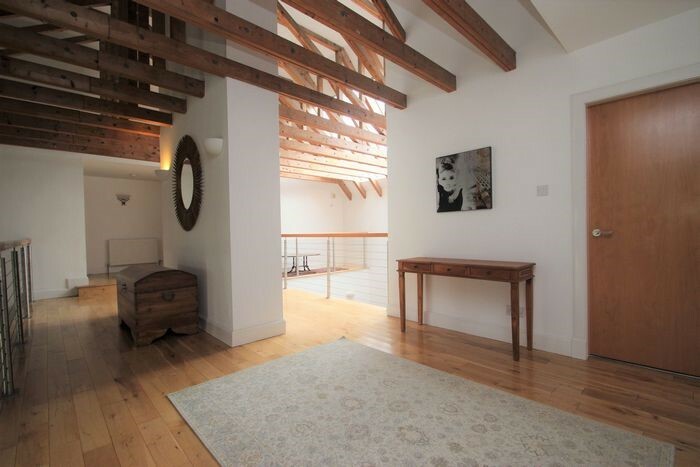 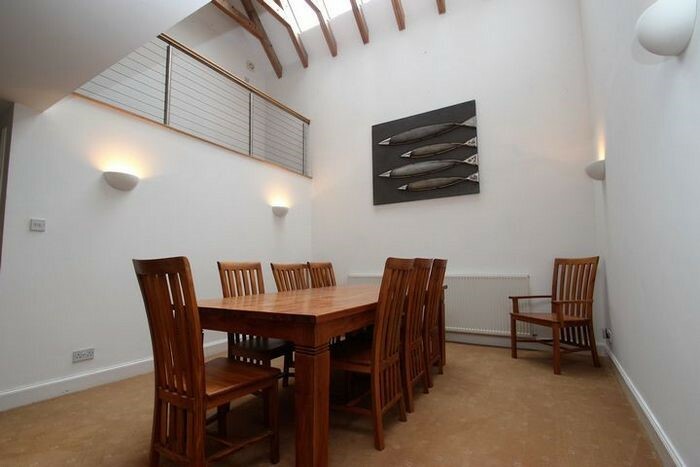 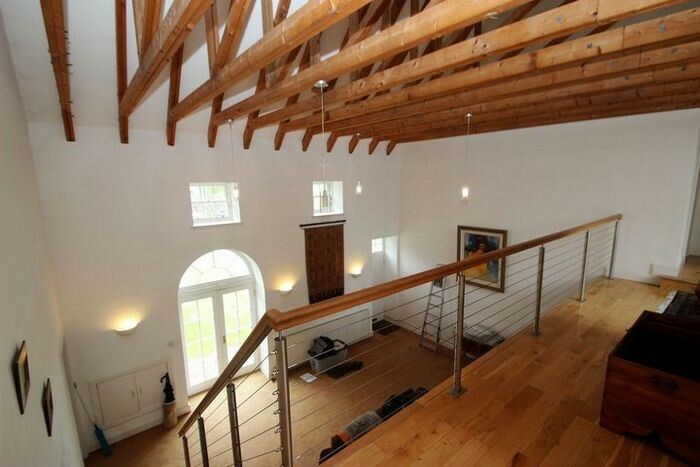 These rooms are overlooked from a first floor gallery which has a wooden floor and contemporary balustrade. 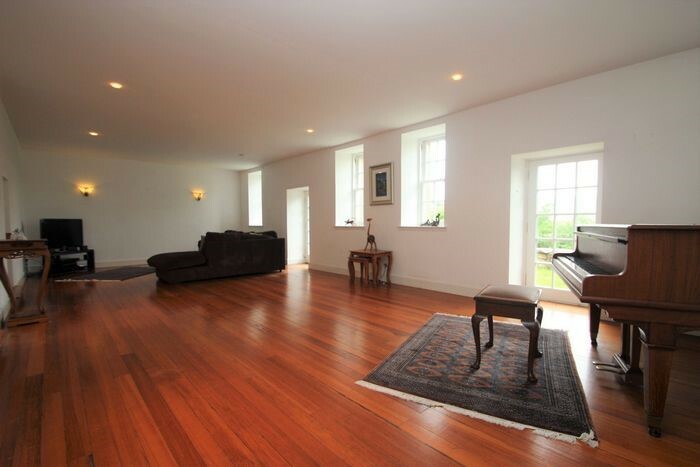 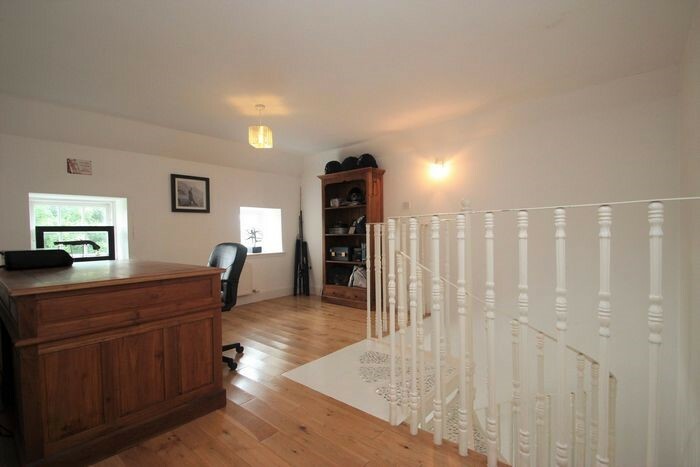 The ground floor also provides an impressive drawing room with wooden floor and twin French doors. 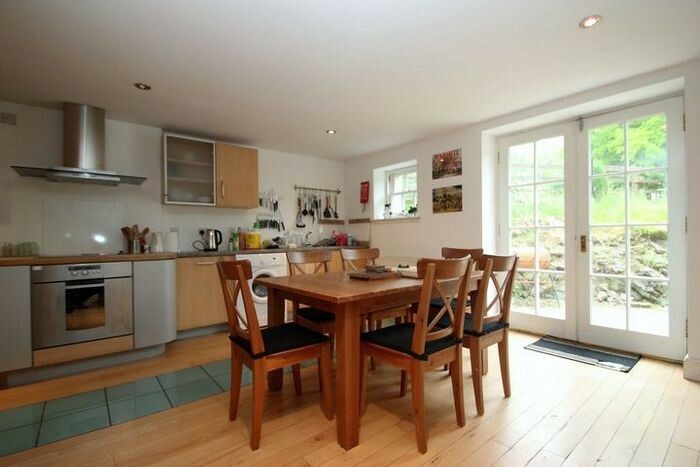 There is a large fitted kitchen. 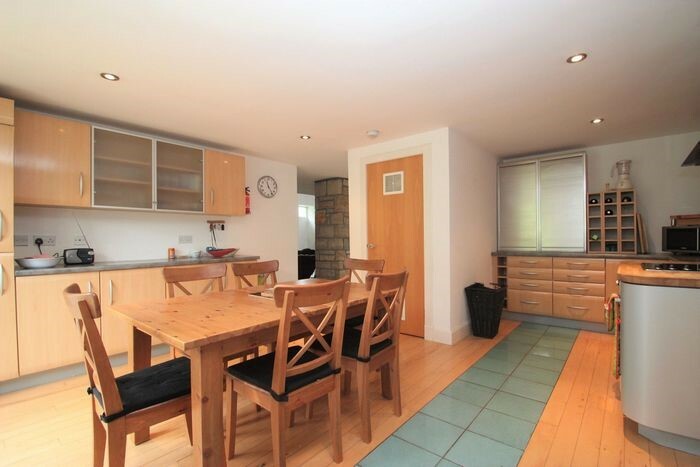 n with all appliances and this also has a wooden floor with glass insert tiling. 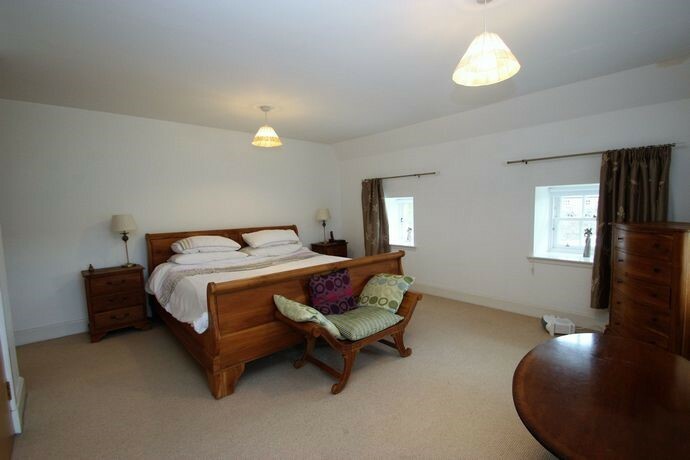 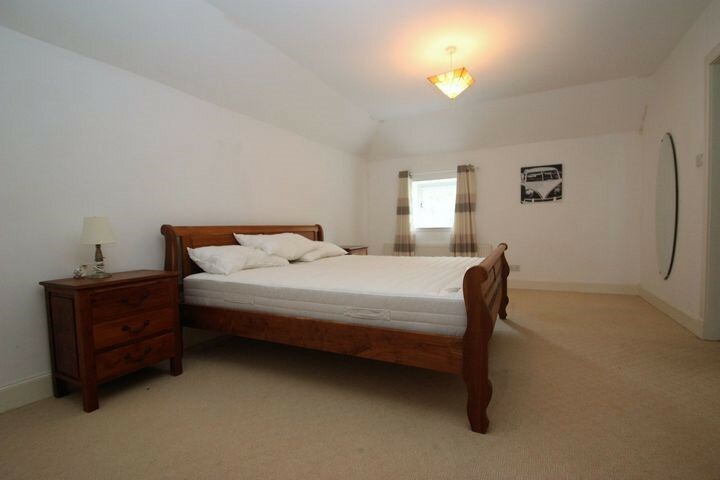 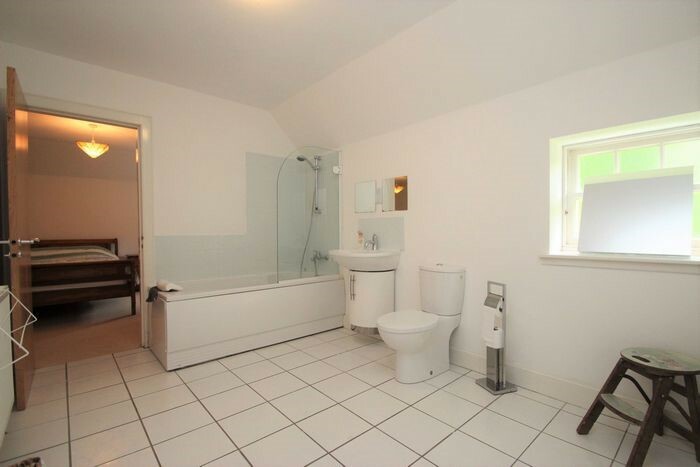 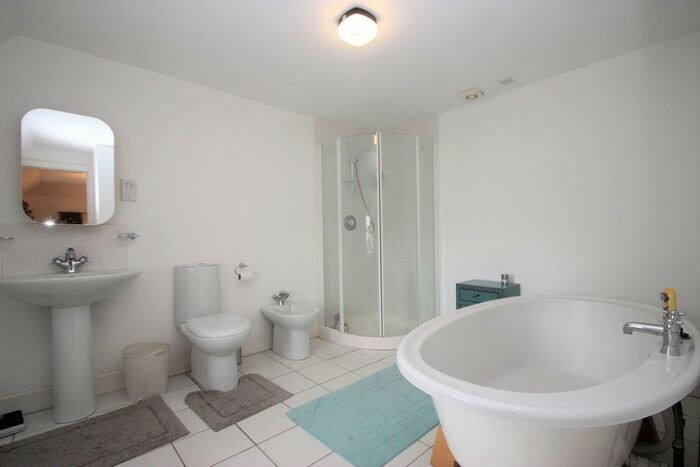 On this floor, there is guest toilet with free standing wash basin and double bedroom with tiled en suite shower room, fitted wardrobes and a French door leading to the garden area. 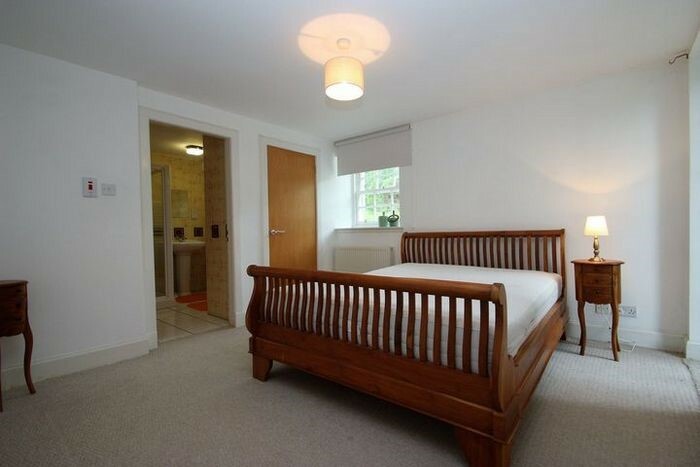 The first floor gallery gives access to a spacious master bedroom also with fitted wardrobes and an en suite bathroom boasting a free standing bath and separate shower. 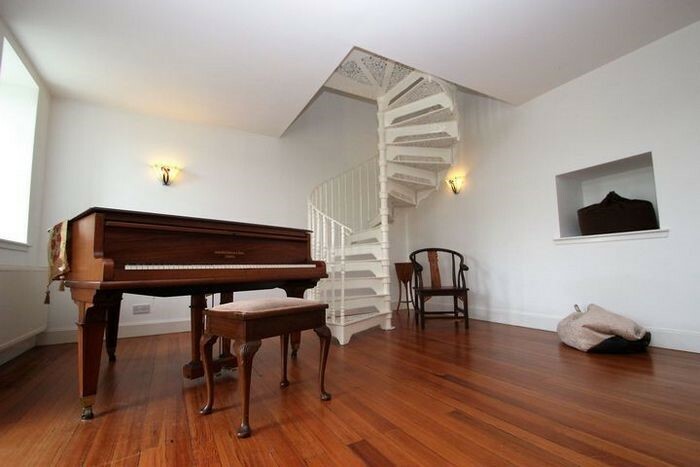 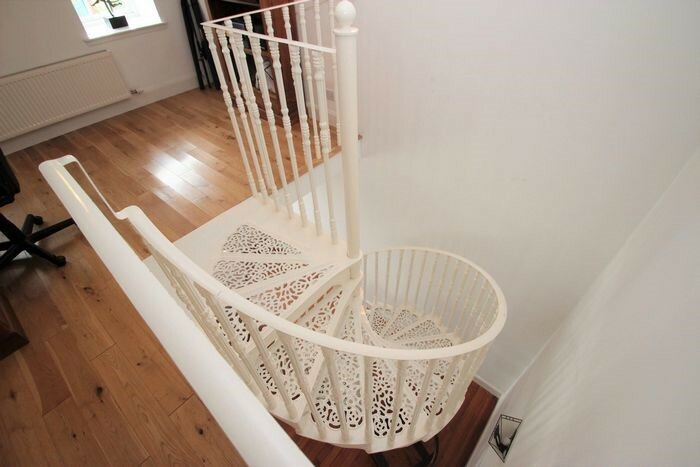 There is a large study with spiral staircase leading down to the drawing room and two further bedrooms with fitted wardrobes which are linked by a superb 'Jack & Jill' bathroom.To the front of the house is a spacious gravel parking area and to the rear is a garden with a large terrace area mostly laid to lawn. 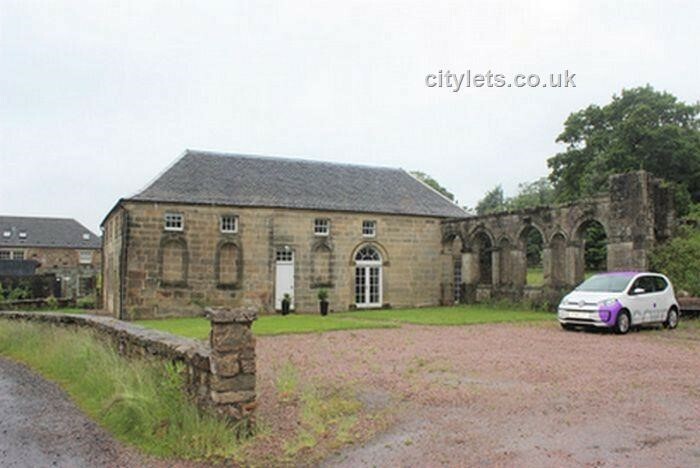 Linking the garden and parking area is the remaining ruin of the mansion house which has restoration potential subject to obtaining the necessary consents. 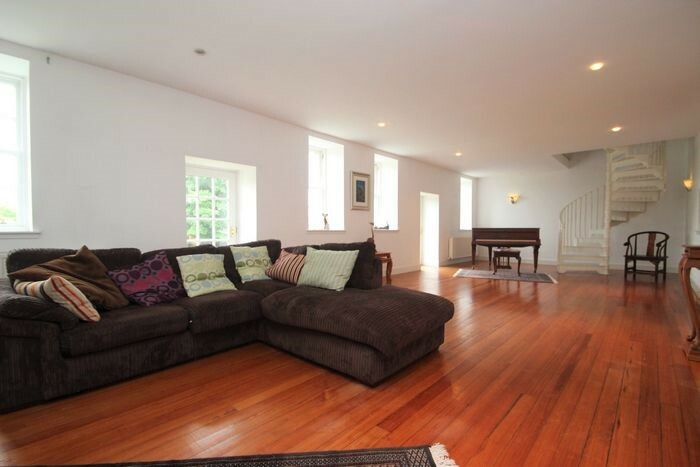 Oil heating, tank is situated at the rear garden.